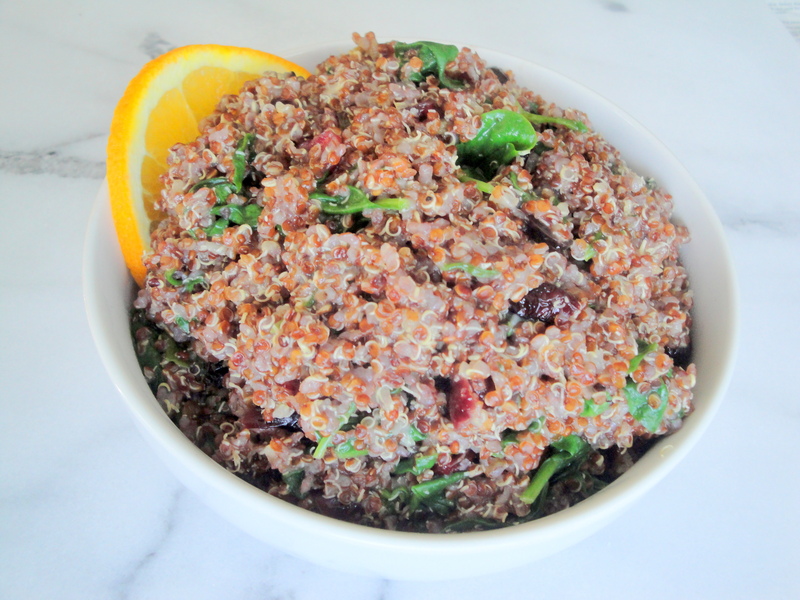 Have you jumped on the quinoa bandwagon yet? Well, I have. And considering my love for rice, using quinoa in place of rice is something I never thought I would agree to. 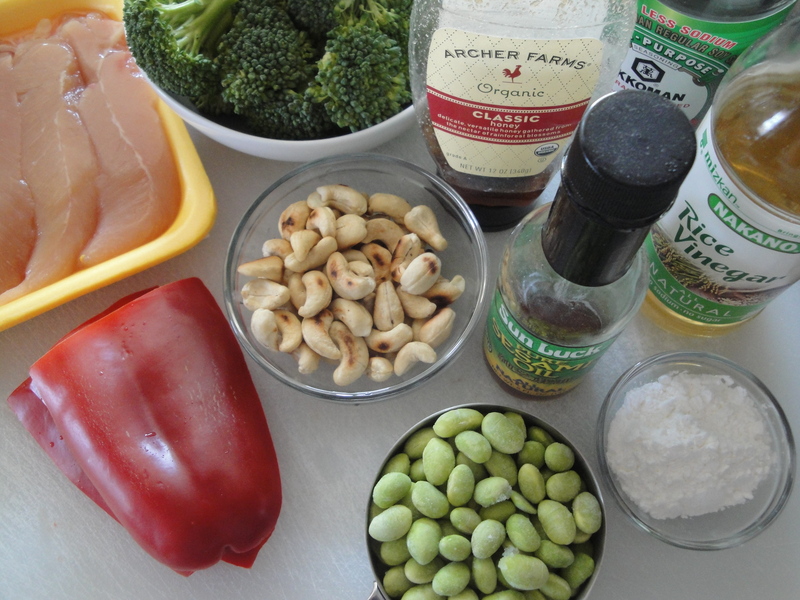 But these days, I have quinoa on hand and rice is nowhere to be found in my cabinet. 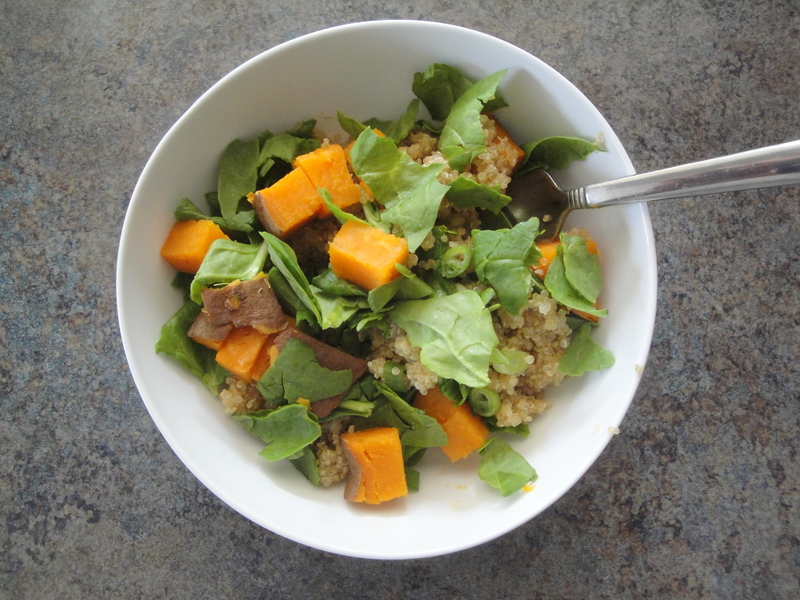 I still love my rice but quinoa is just so darn good for you that I can’t let myself not eat it. 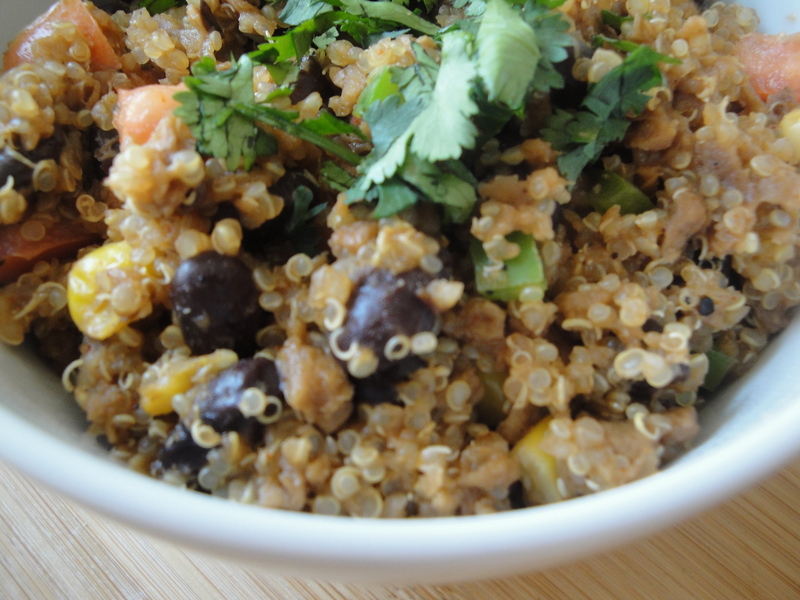 Mixing quinoa with bold flavors, like in this Vegetarian Tex-Mex Quinoa Bowl, is a great way to eat it. 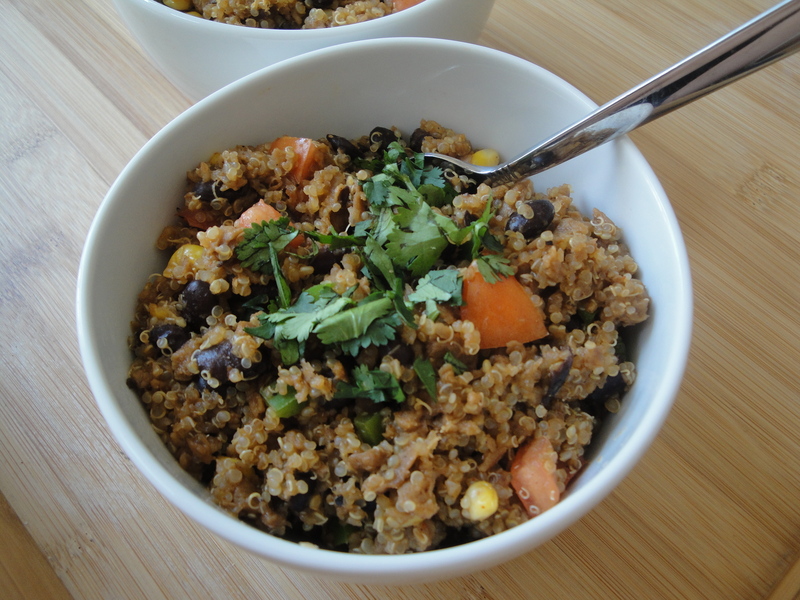 Quinoa takes on the spicy flavors of the taco seasoning very well so even if you aren’t sure if you like quinoa, this is a good way to try it. 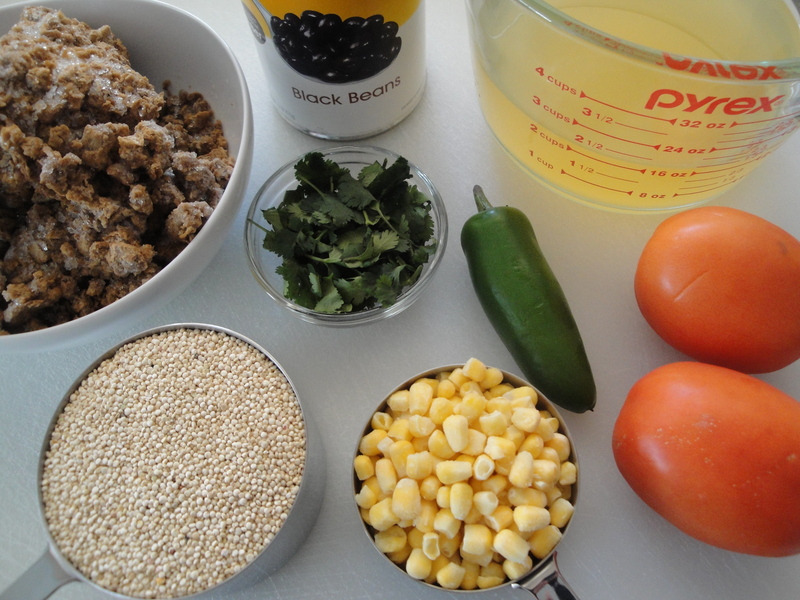 Mixed with soy crumbles, black beans, corn, tomatoes, and jalapeño, this quinoa bowl is fresh, spicy, and filling. 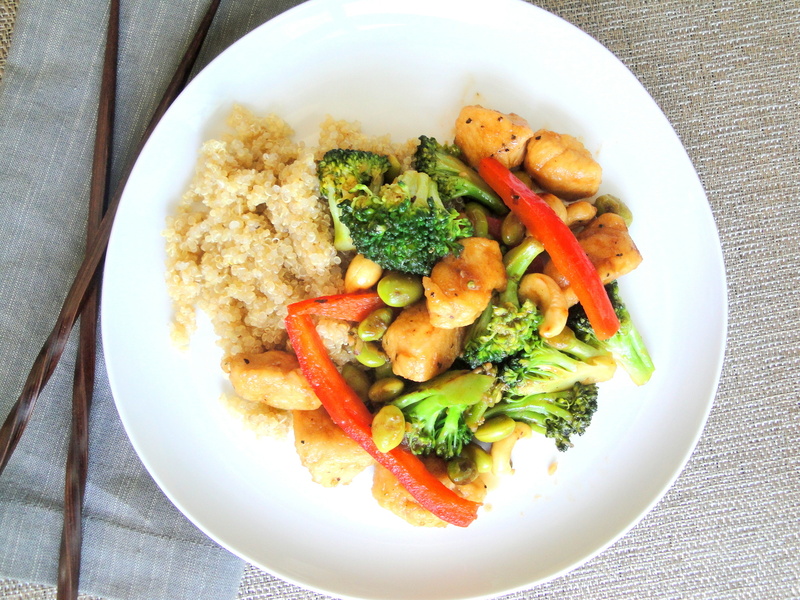 I love the texture and flavor of the soy crumbles in this dish. 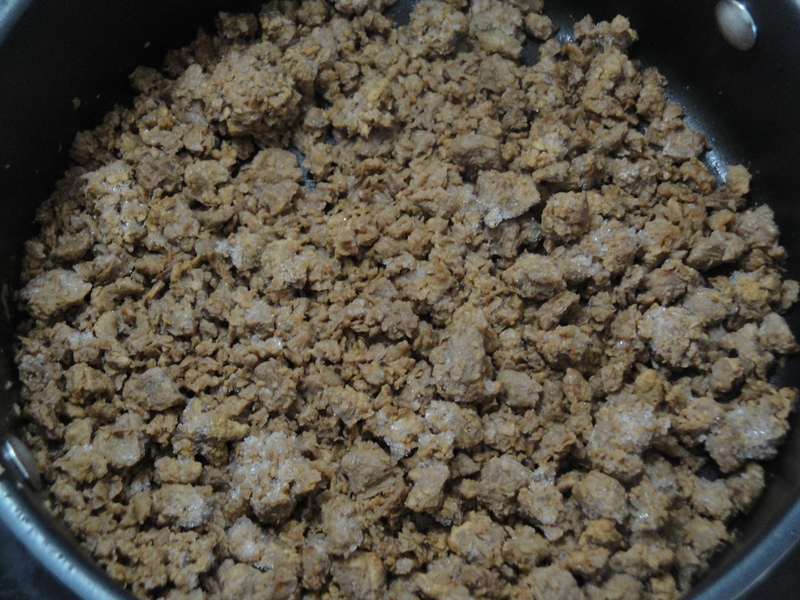 I started eating soy crumbles when I was a vegetarian but still eat it now in place of meat all the time. 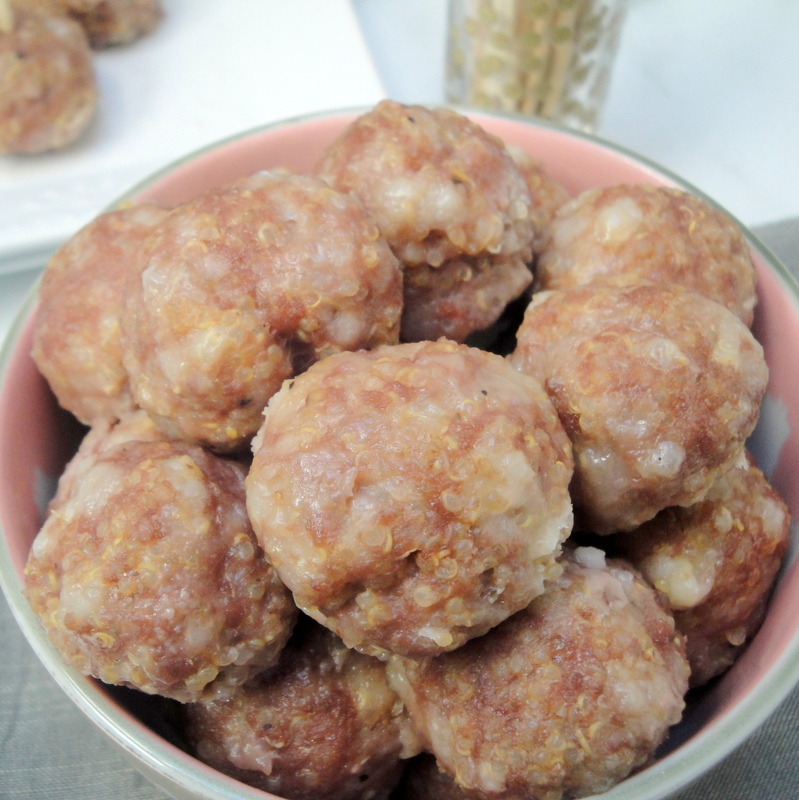 Sometimes I even prefer it in certain dishes over meat (like taco salad and Cheeseburger Macaroni Hamburger Helper – seriously!). 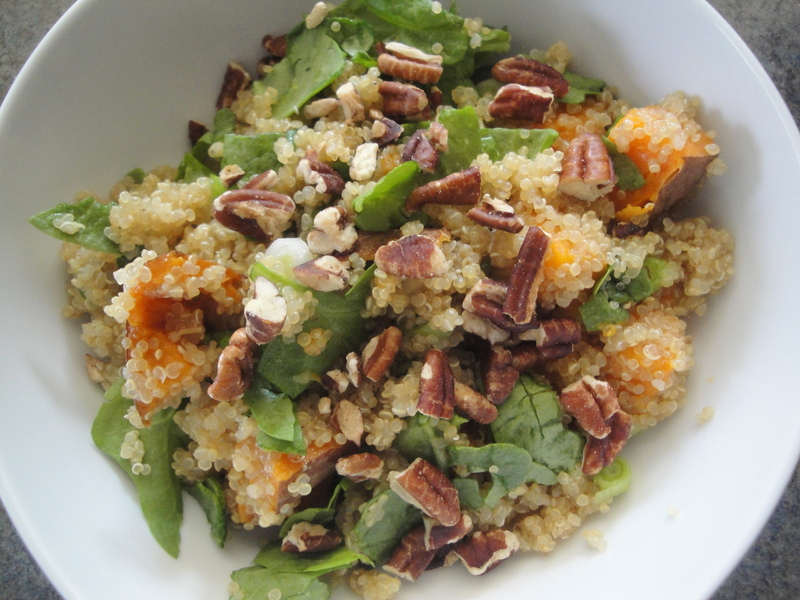 It’s full of protein and lower in fat, making it a great pairing with quinoa. 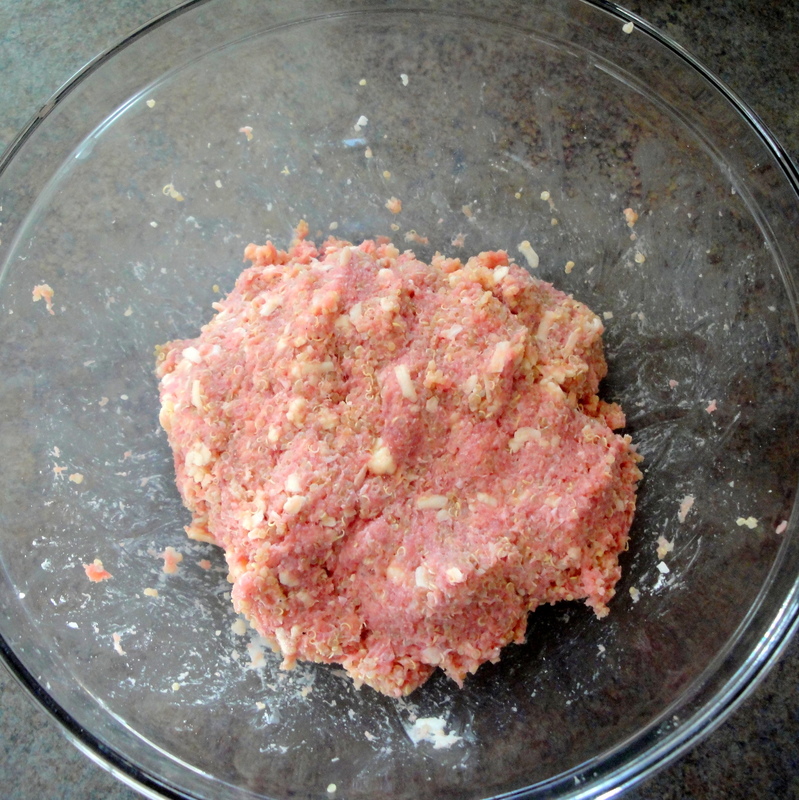 But if you don’t want to venture into soyland, feel free to use ground turkey, chicken, or beef in place of the soy crumbles. Also, if you keep a fully stocked spice cabinet like I do, consider making your own taco seasoning which allows you to control the salt and spiciness of this dish. Note: To make your own taco seasoning, mix together 1 tablespoon chili powder, 1/4 teaspoon garlic powder, 1/4 teaspoon onion powder, 1/4 teaspoon cayenne pepper, 1/4 teaspoon dried oregano, 1/2 teaspoon paprika, 1 1/2 teaspoons cumin, 1 teaspoon sea salt (optional), and 1 teaspoon black pepper. 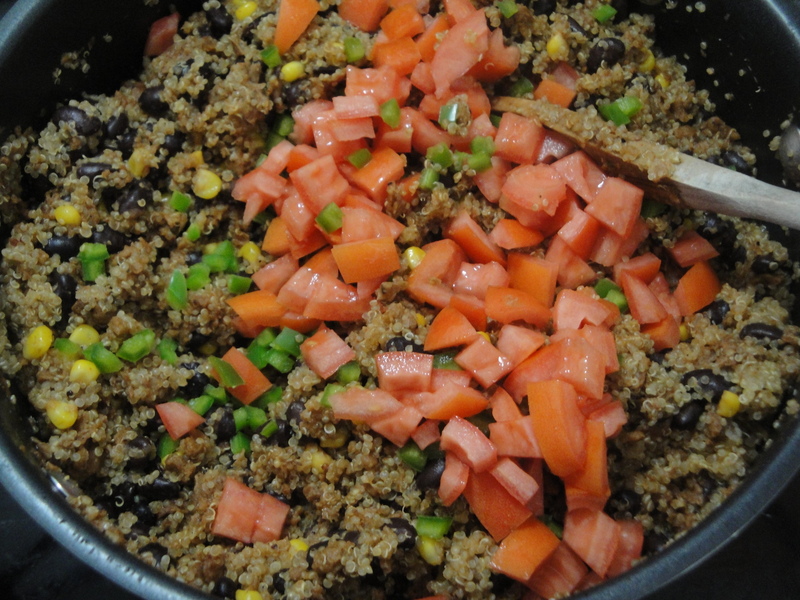 In a medium sauce pan, add 2 cups water or broth and quinoa. 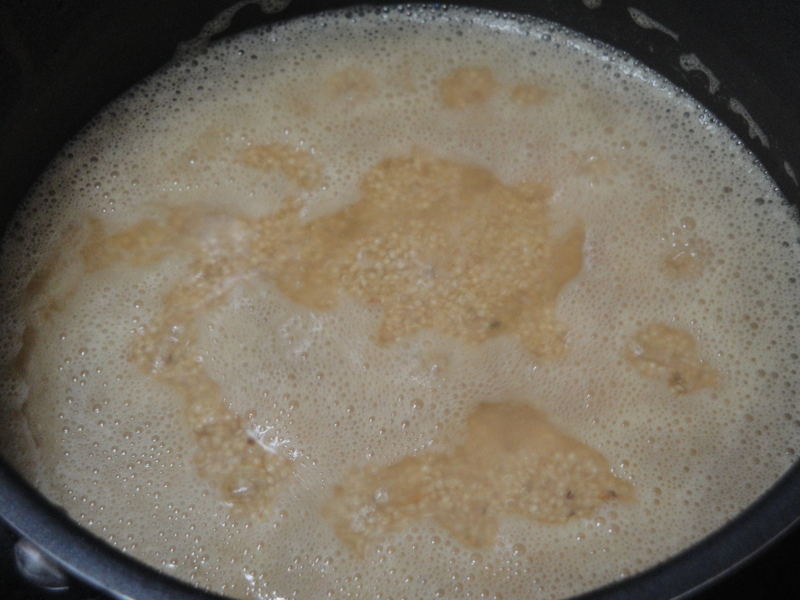 Bring to a boil, reduce heat, and simmer for 20-22 minutes. Spray non-stick spray into a large skillet and heat over medium-high heat. 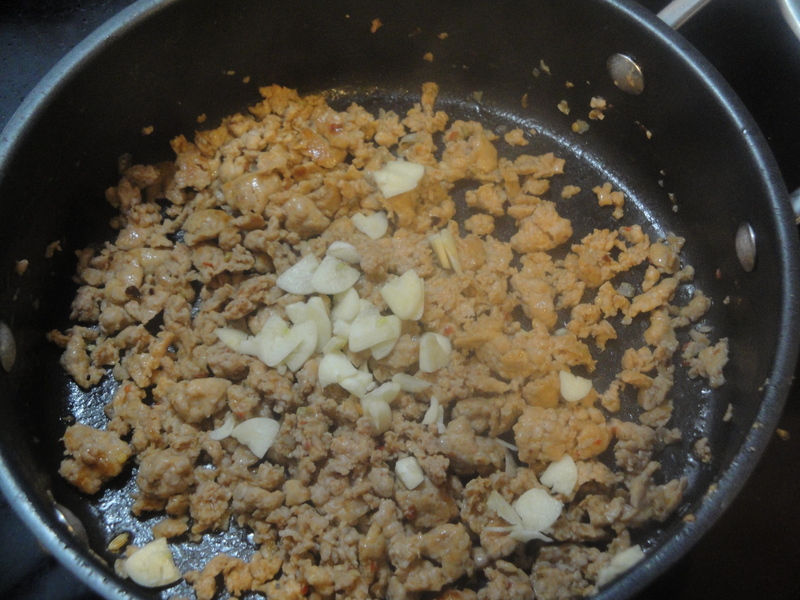 Add soy crumbles and cook 3 minutes. 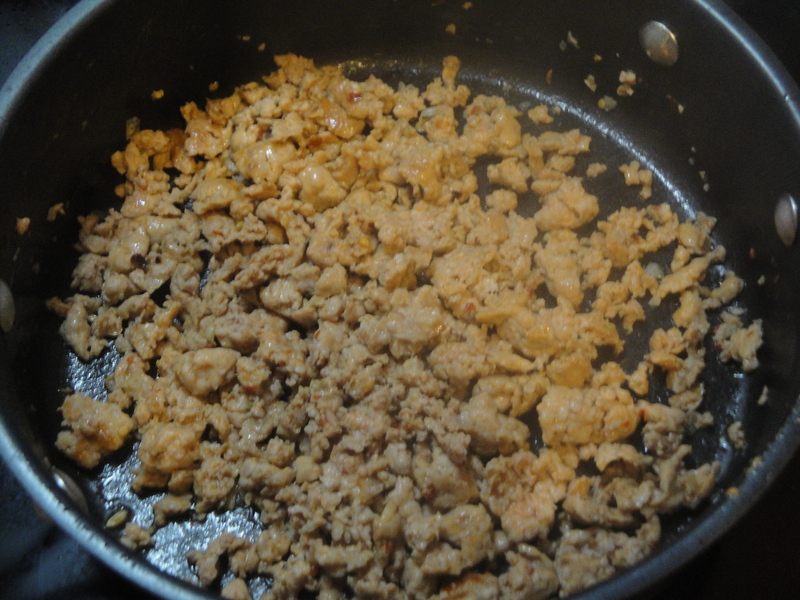 Stir in 1/4 cup water and taco seasoning and stir for 1 minute. Stir in corn and black beans, cook for 1 minute or until heated. Stir in quinoa, chopped tomato and jalapeño. Top each serving with 1 teaspoon cilantro. 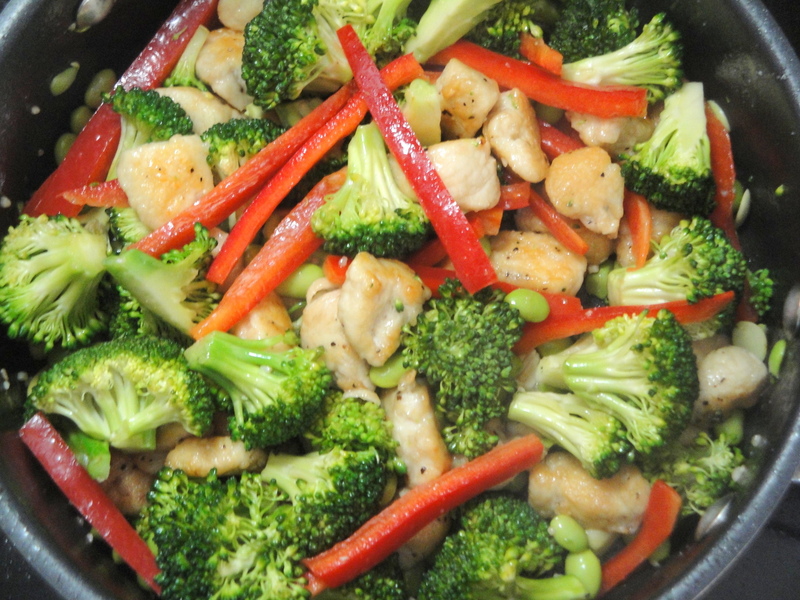 In a medium sauce pan, add 2 cups water or broth and quinoa. 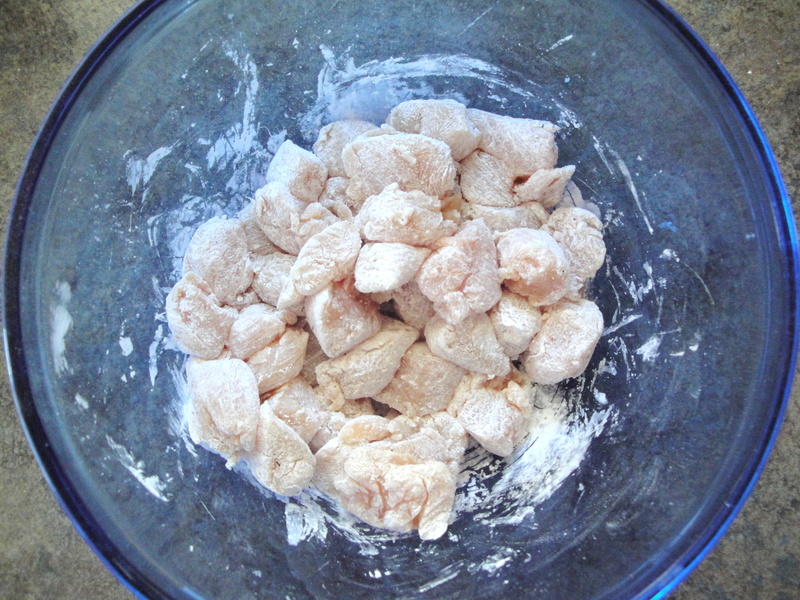 Bring to a boil, reduce heat, and simmer for 20-22 minutes. 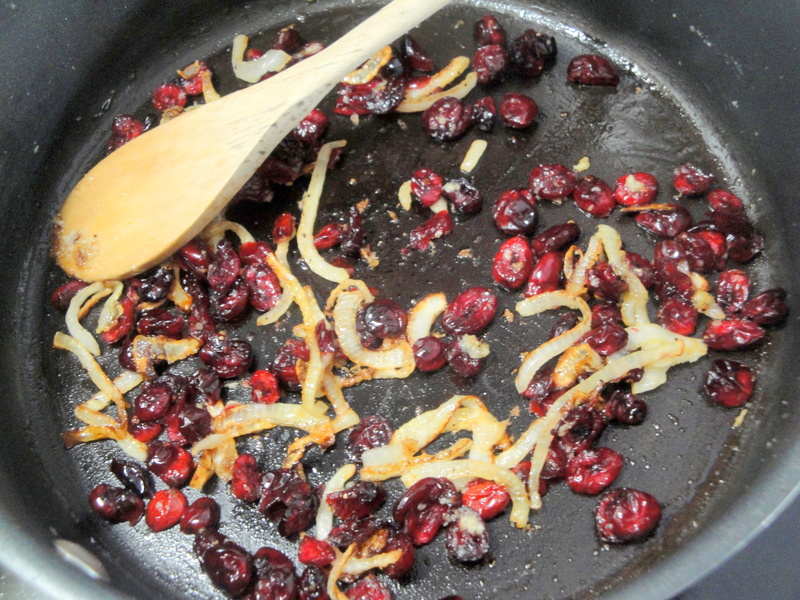 Spray non-stick spray into a large skillet and heat over medium-high heat. 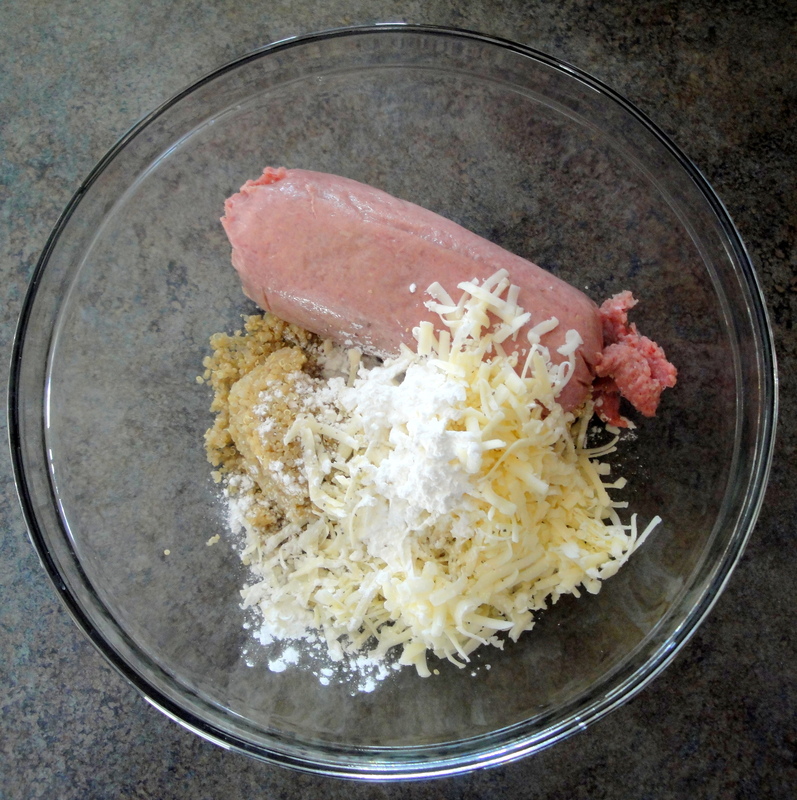 Add soy crumbles and cook 3 minutes. 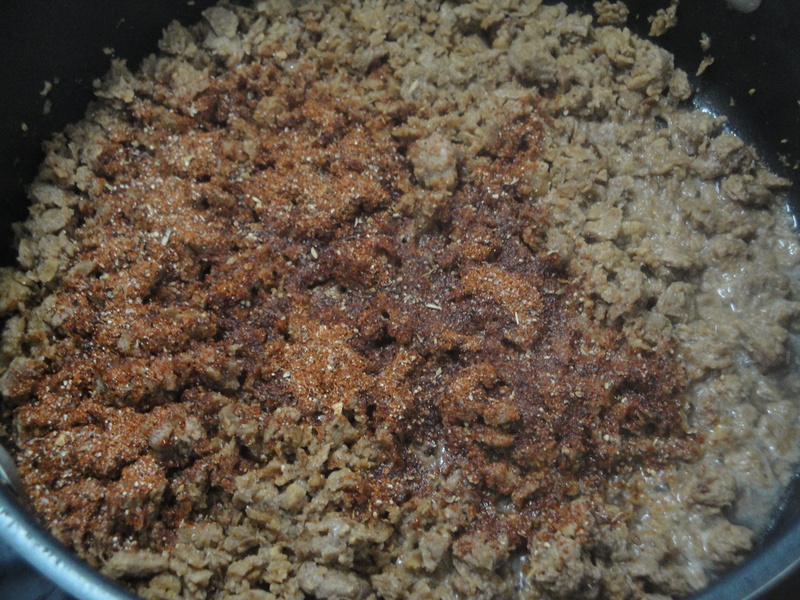 Stir in 1/4 cup water and taco seasoning and stir for 1 minute. 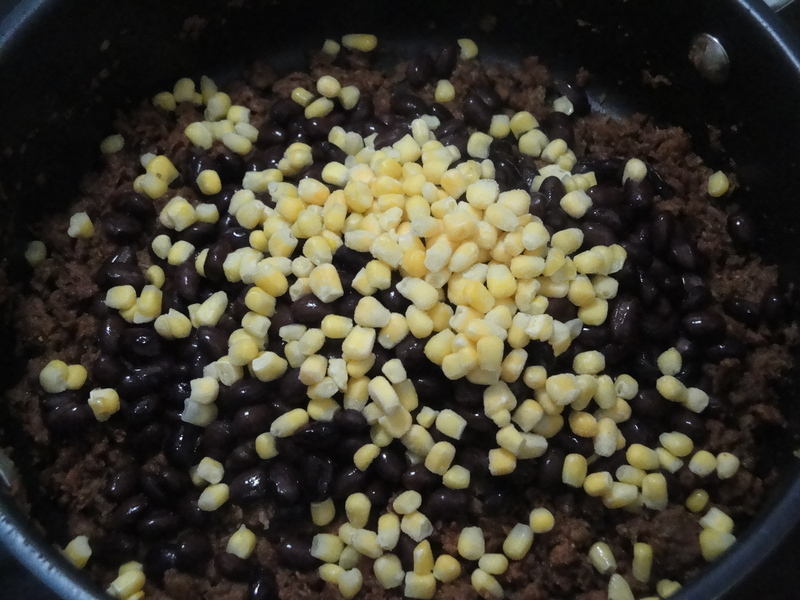 Stir in corn and black beans, cook for 1 minute or until heated. Stir in quinoa, chopped tomato and jalapeño. 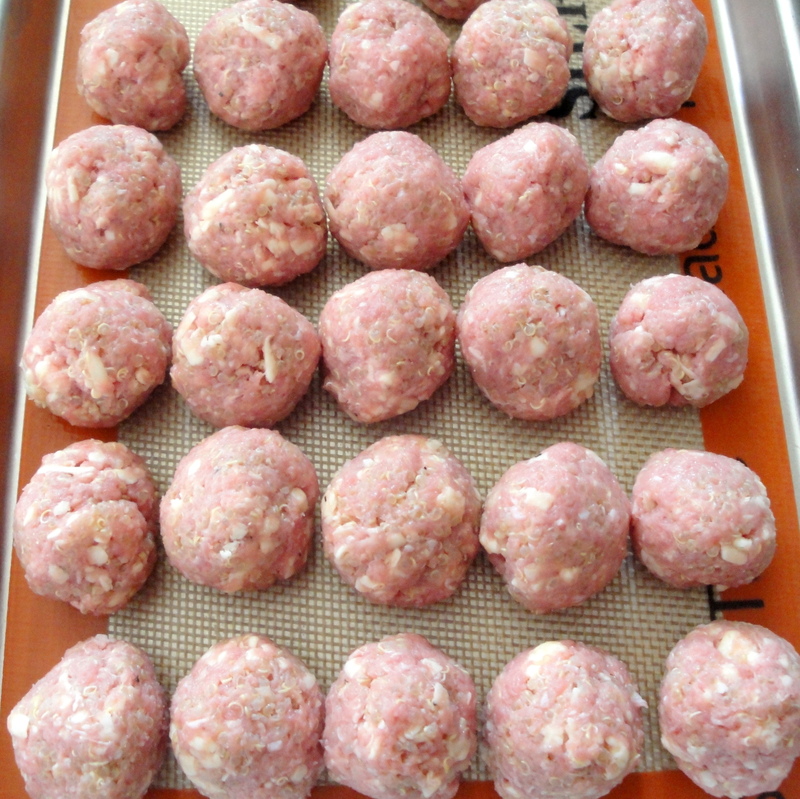 Top each serving with 1 teaspoon cilantro. 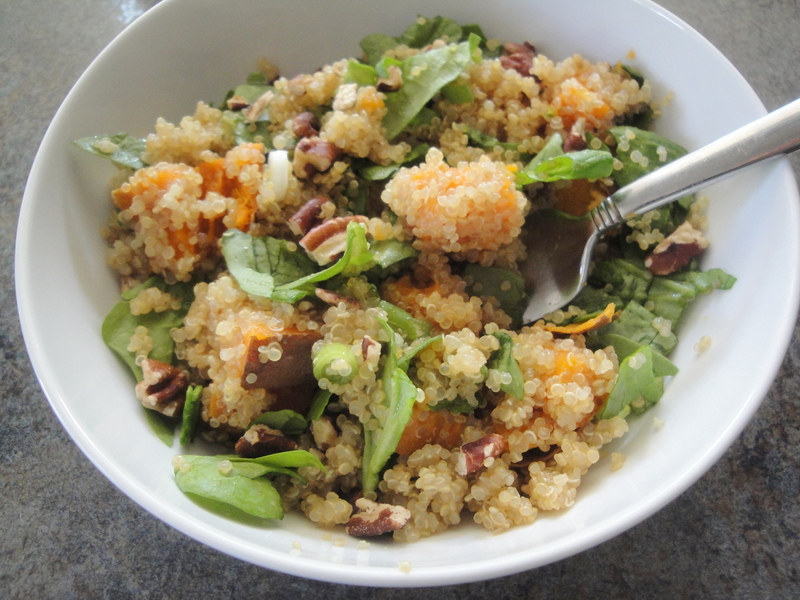 I admit that I’m late to the quinoa party. 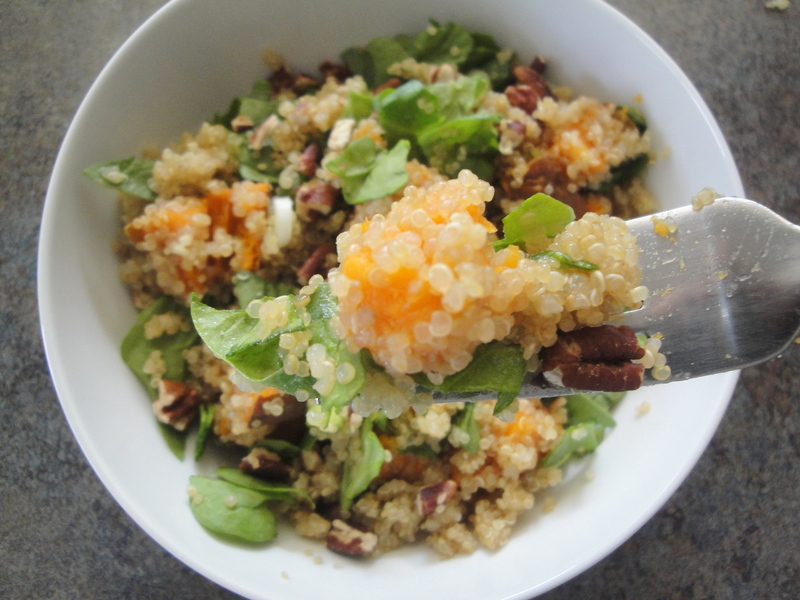 Quinoa recipes are everywhere now and I’d been so curious about this superfood for a while but had never tried it. My grocery store doesn’t carry it so I finally went to another grocery store slightly farther away that always seems to carry whatever it is that my grocery store doesn’t. When the check-out girl saw my bag of quinoa, she asked me if it was good, saying her mom wanted to try it for weight loss. 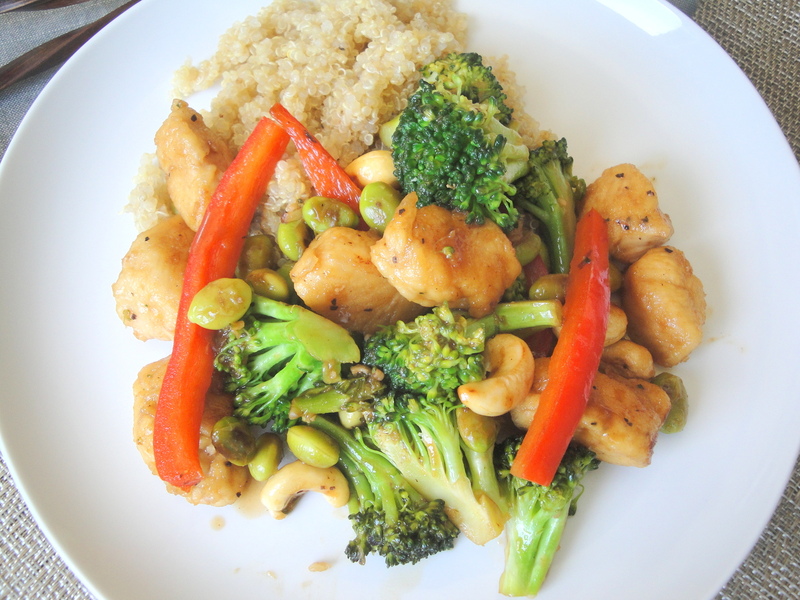 I came home and made a batch just to keep on hand to eat as a side in place of my usual brown rice. 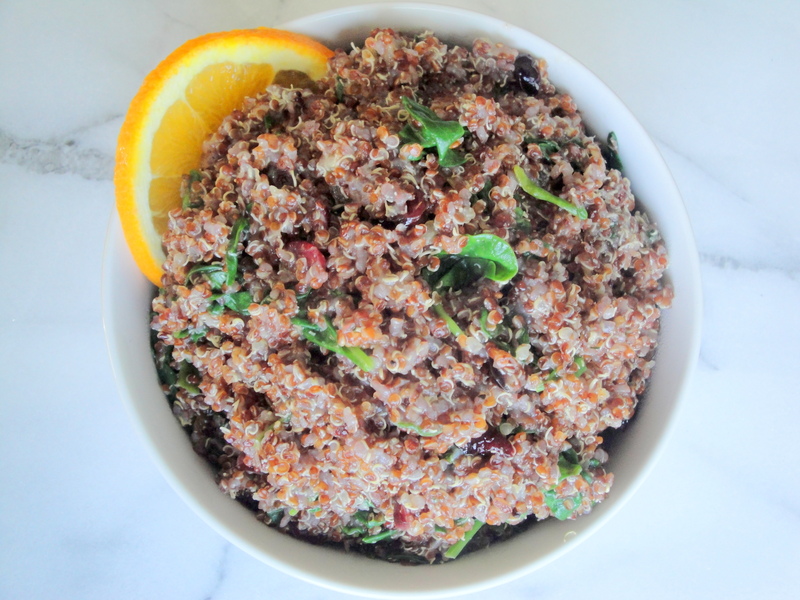 Even though brown rice is good for your diet, quinoa is better because it’s a complete protein (meaning it has all of the essential amino acids we need). People say it has a nutty taste but I think it tastes more like corn which isn’t at all what I expected. 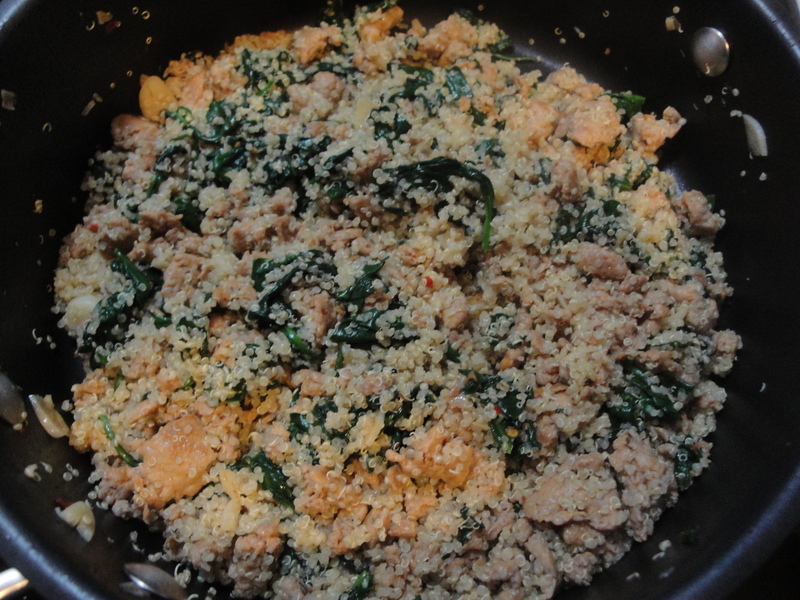 I wanted to try a recipe using quinoa in place of rice and since the spinach in my produce drawer was close to going bad and I needed to cook the leftover turkey sausage from the gratin I made earlier this week, the perfect dish to make was Sausage-Spinach Quinoa Bowl. 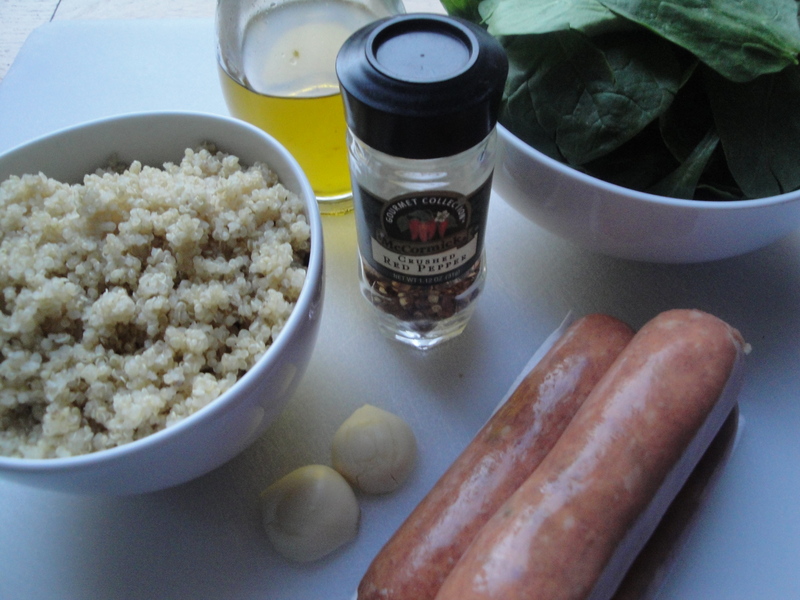 With hot turkey sausage, spinach, and quinoa, this dish came together very quickly since I’d already cooked the quinoa. 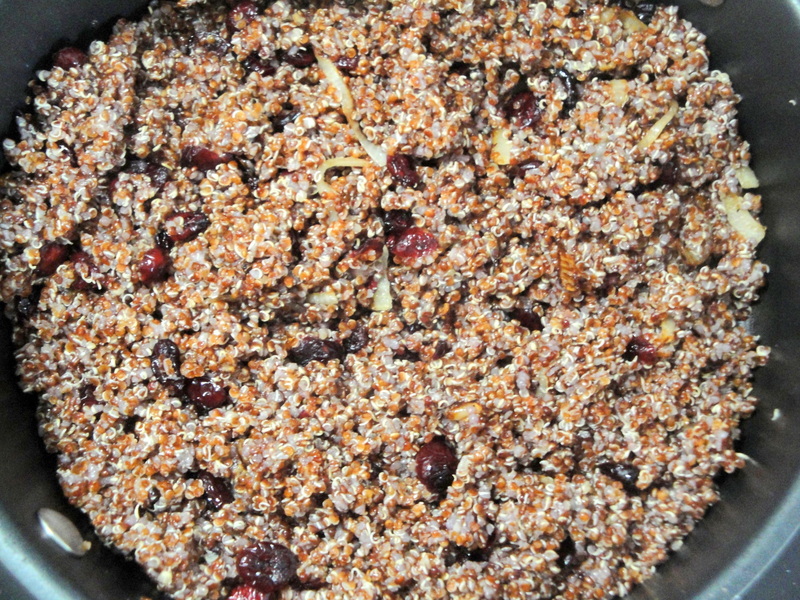 (Rinse the quinoa thoroughly. 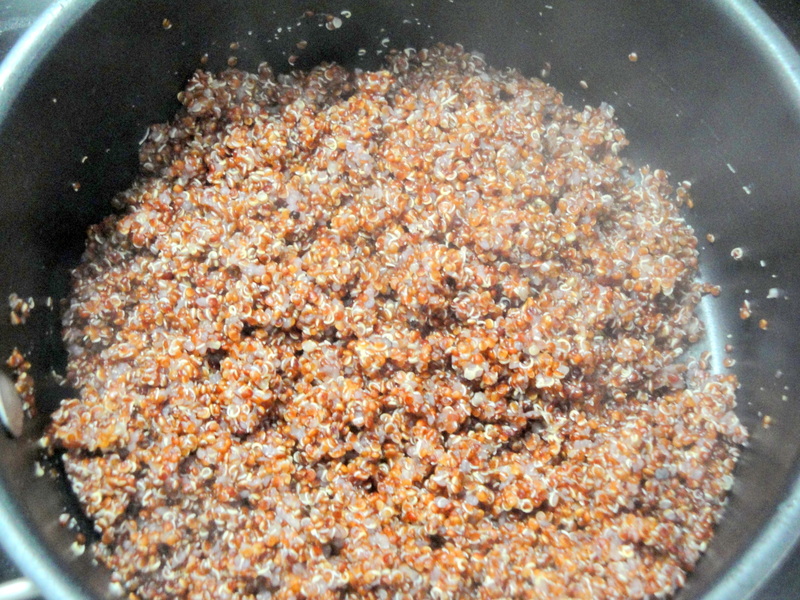 Bring one part quinoa, two parts water to a boil and simmer for 15 minutes until the liquid is absorbed.) 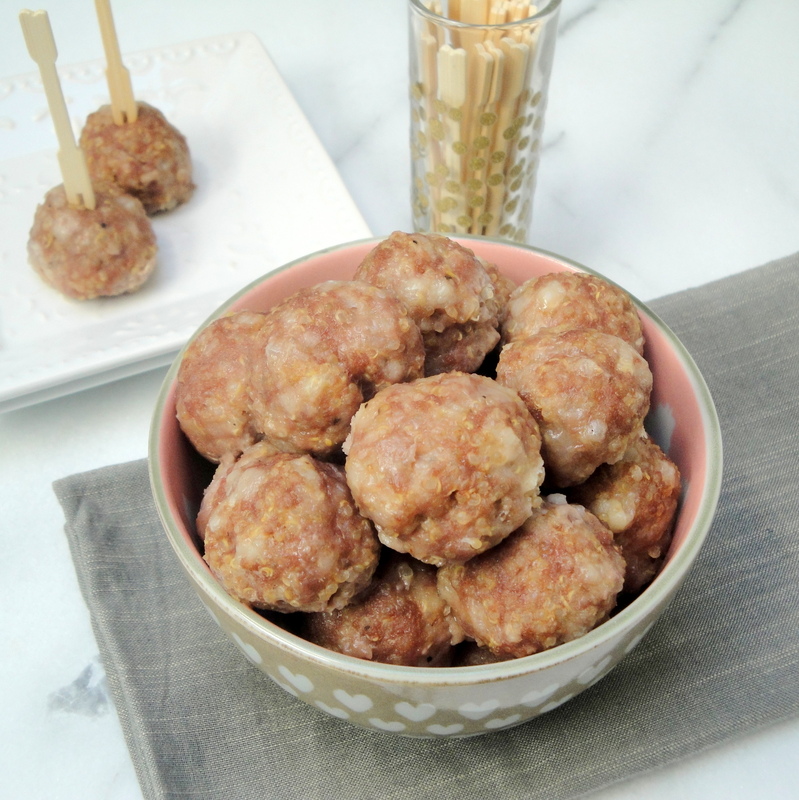 The spiciness of the turkey sausage pairs terrifically with the bitter spinach and the red pepper flake gives it the slightest hint of kick. 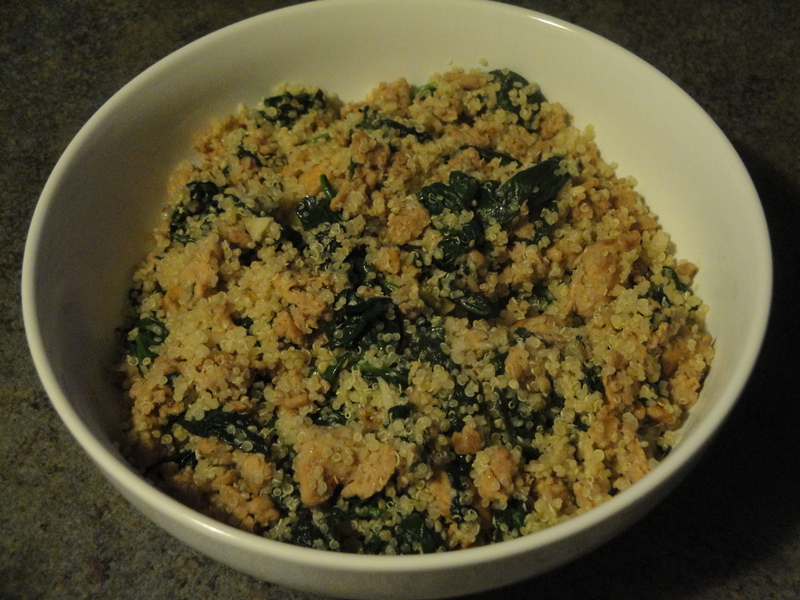 The quinoa made for a great substitute for the rice which is exactly what I was hoping it would do. 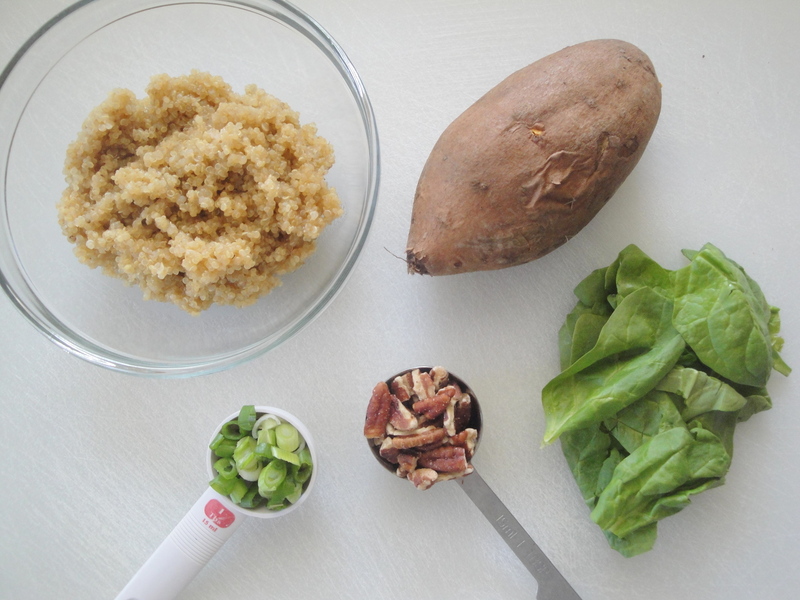 I look forward to making this superfood more in the future! 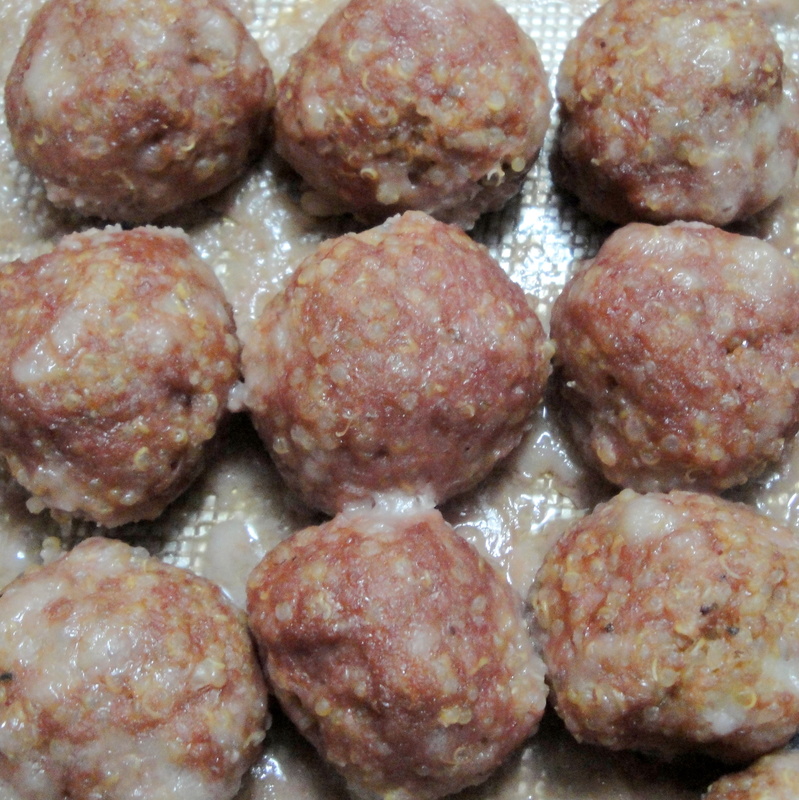 Heat olive oil in a large skillet and cook sausage and red pepper over medium-high heat until browned and crumbled. 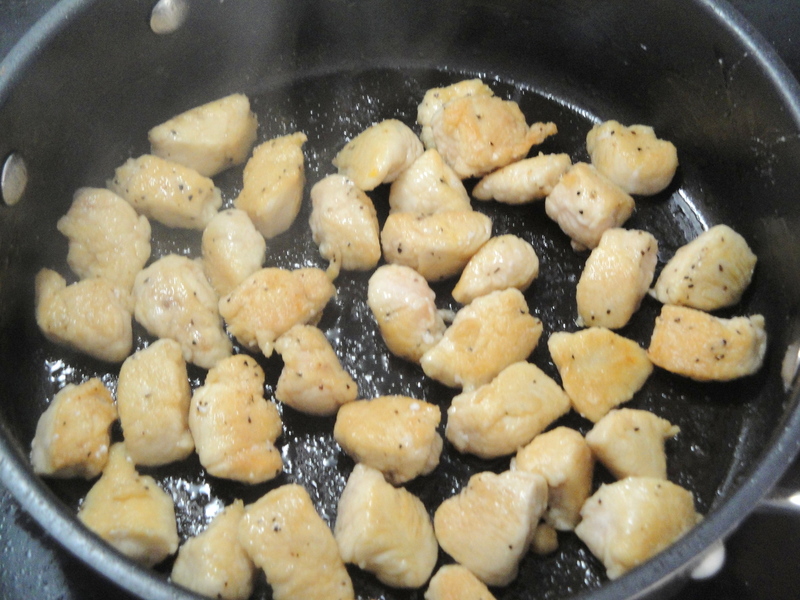 Add in garlic and cook 30 seconds, stirring constantly. 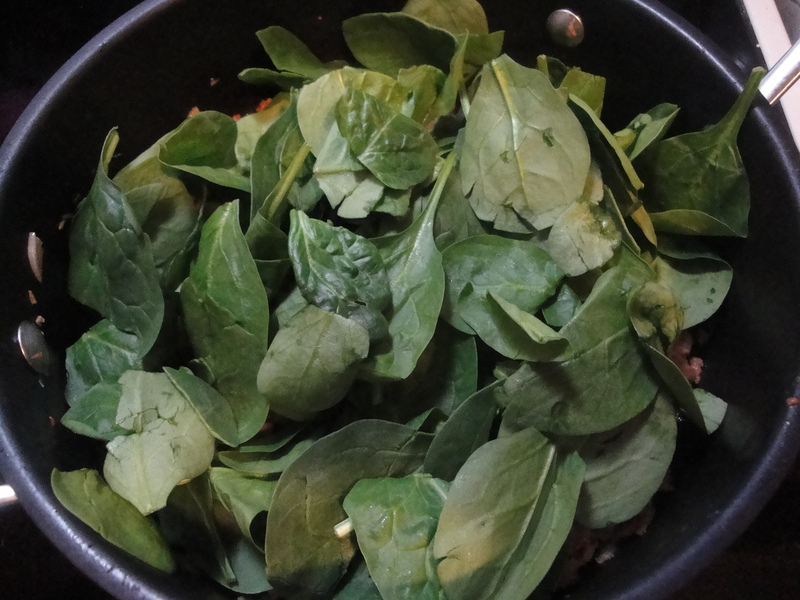 Add in spinach and cook 30 seconds or until spinach begins to wilt. 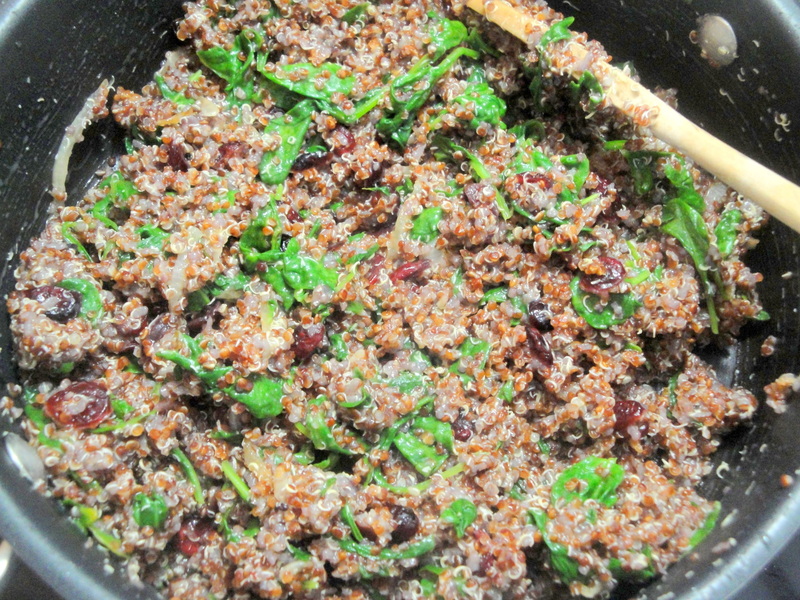 Stir in prepared rice or quinoa; cook 1 minute or until heated.